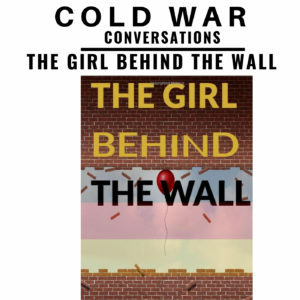 Today we’re talking to Antje Arnold, author of “The Girl Behind The Wall” which tells the story of a girl growing up in East Germany in the 1980s. Now keep your finger away from the fast forward button for a minute. Hopefully some of you may noticed the improvement in sound quality on some of the recent episodes and this is directly resulting from the support we get from our Patreons where we have invested in some new microphones. Back to today’s epsiode. Antje’s book is from a child’s point-of-view, rather than the typical espionage stories or documentaries that portray people trying to escape socialism. The book provides a very different insight into the holidays, vacation and everyday life of a family; stories that are often left out when describing East German life. In our conversation you will not find historical data, but you’ll travel back in time to relive the childhood memories alongside the girl behind the wall. Buy The Girl Behind the Wall here. A press interview with Antje.